Probe locker with full height twin doors / compartments. 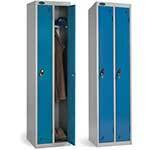 The Probe twin door lockers are essentially multi-purpose garment or clothing lockers, commonly used in many factories, warehouses and other work environments. 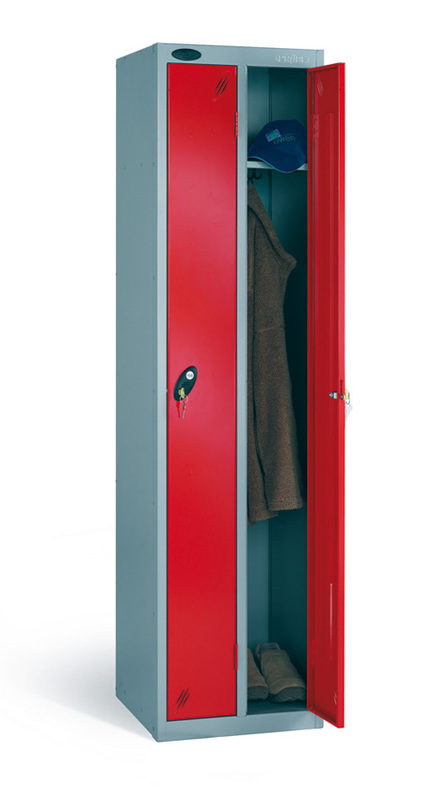 Comprised of two full height compartments with two double coat hooks, ideal for hanging coats or clothing to avoid creases and a shelf at the top of each section to place hats, gloves or bags. With security at the fore front of the design, each door is fitted with cam locks and are provided with two keys for each door. This gives assurance that while the contents of the twin door locker are kept safe and private, the contents are accessible is one of the keys is misplaced or stolen. 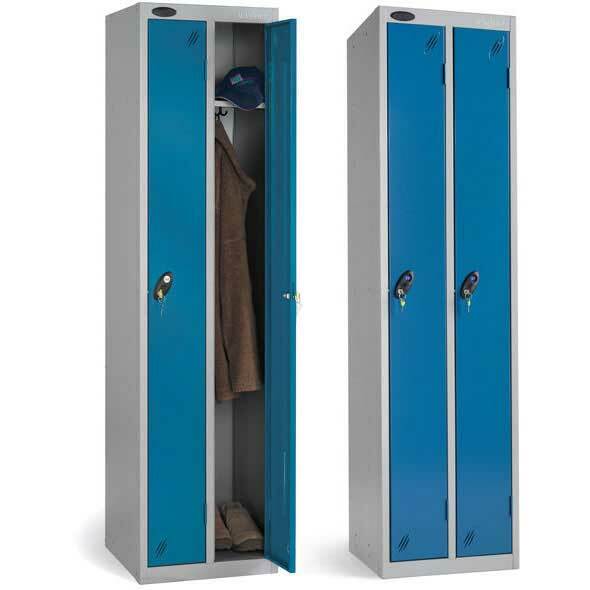 The twin door lockers are available as a single unit or as a nest of 2, allowing you to construct a bank of these garment lockers for employees or visitors. Each door in the locker unit has an inbuilt vent system. These openings allow a free flow of air to circulate which aids cleanliness and prevents the build-up of unwanted odours. 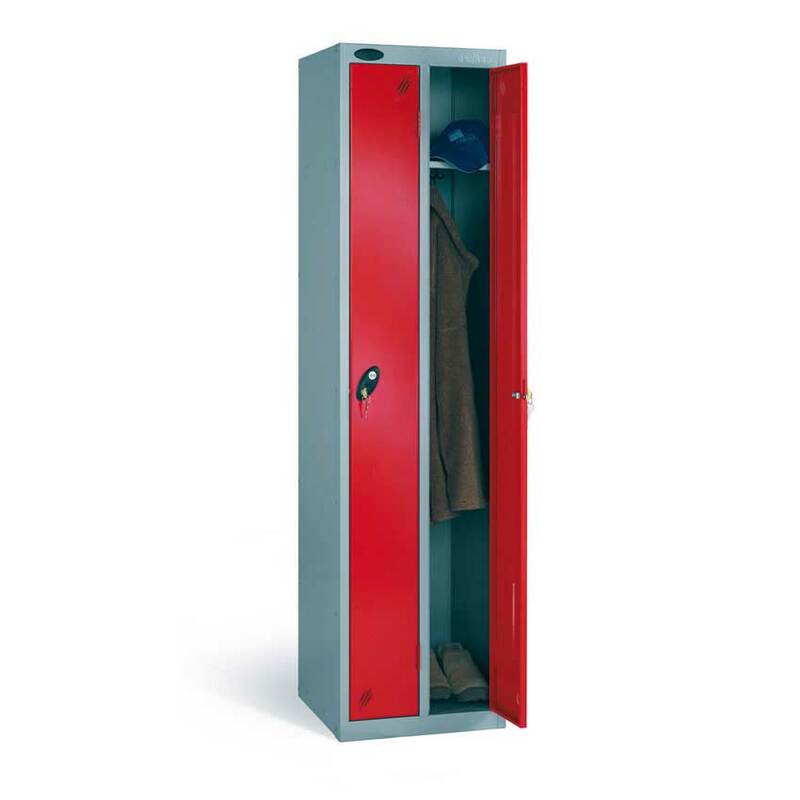 The Probe twin door locker is without a doubt a robust construction and have been tested and conform to the requirements of the British Standard for Clothes Lockers BS 4680: 1996. This range is available in seven different door colours; white, silver grey, blue, green, red, yellow and black. 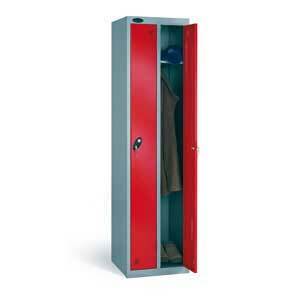 The locker carcass is available in white, silver grey and black.